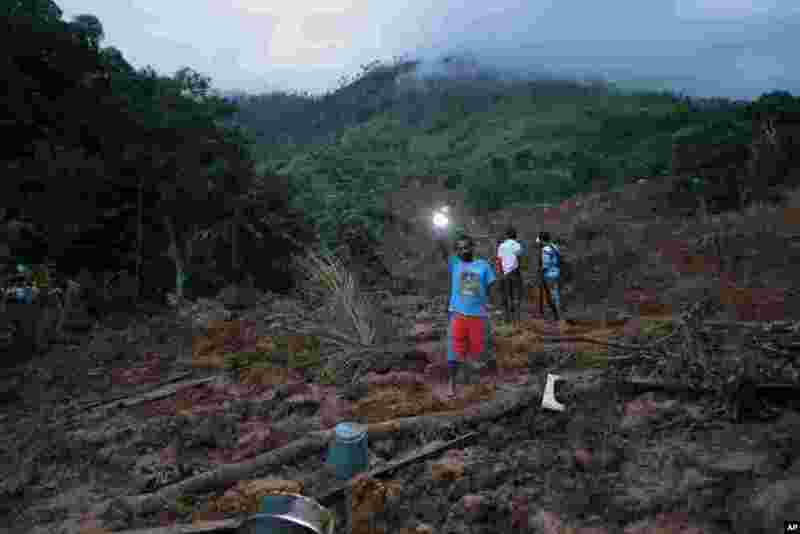 ۵ A man shines a torch as dusk falls at the site of a mudslide at the Koslanda tea plantation in Badulla district, about 220 kilometers (140 miles) east of Colombo, Sri Lanka. 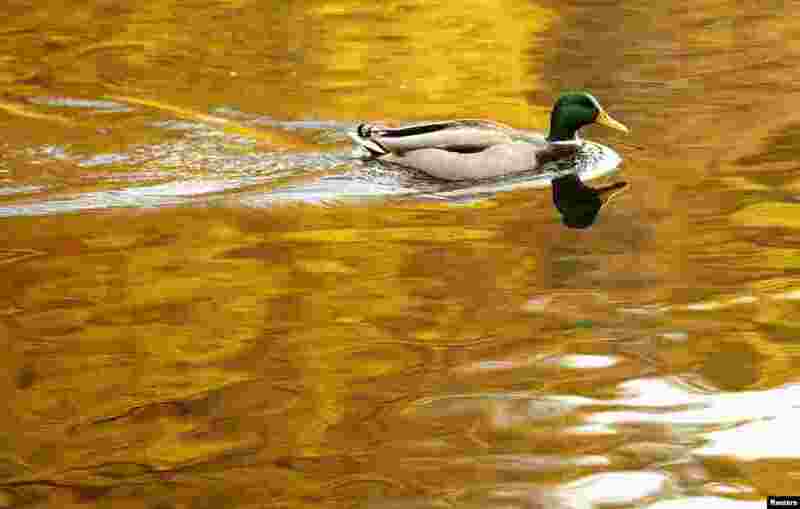 ۶ A duck paddles on Loch Faskally as autumn leaves are reflected in the water in Pitlochry, Scotland. 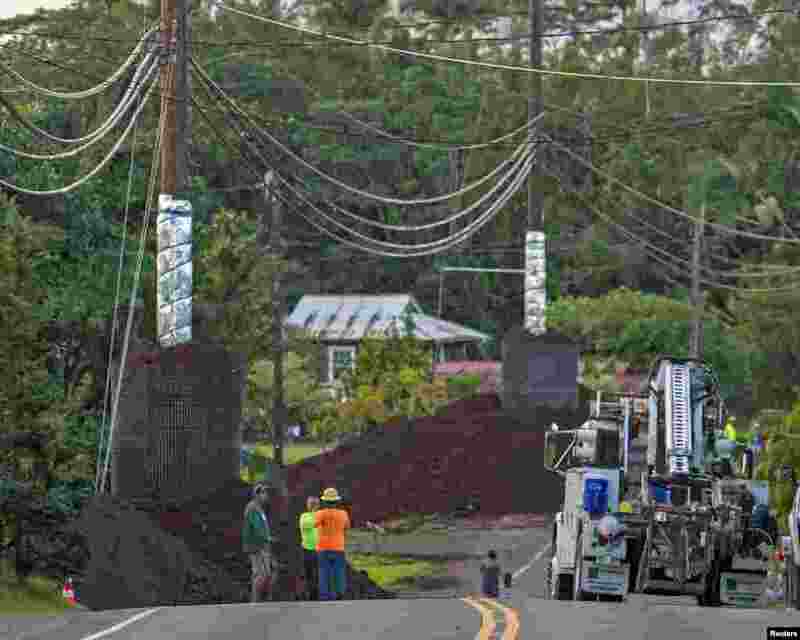 ۷ Construction crews prepare Pahoa Village Road as lava flow from Mt. Kilauea approaches the village of Pahoa, Hawaii, Oct. 28, 2014. 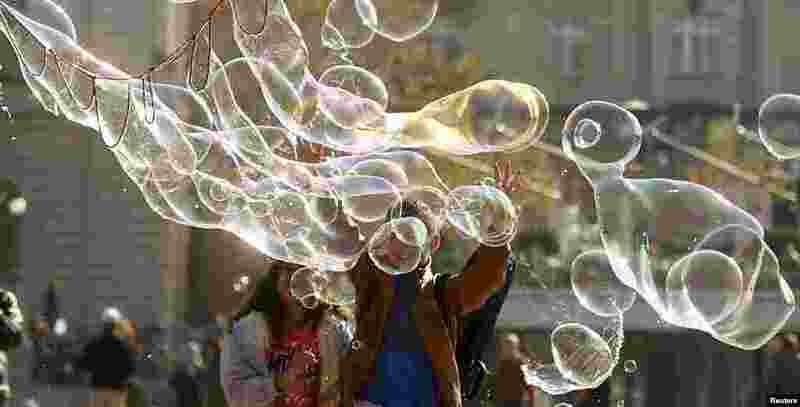 ۸ Children try to reach a big soap bubble blown at a square in front of the opera house in Zurich, Switzerland.